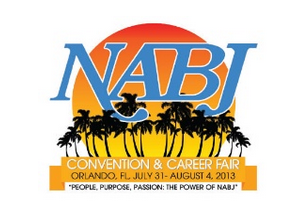 The National Association of Black Journalists has established tuition assistance for those who wish to attend the NABJ Convention and Career Fair, July 31-August 4, 2013 at the Gaylord Palms Resort and Convention Center in Orlando, Florida. NABJ wants all members to have the opportunity to attend the convention regardless of their or their employers’ current financial circumstances. With the goal of providing educational support, career opportunities and multimedia skills to journalists of color, NABJ is pleased to announce assistance to provide complimentary or partial financial support for the registration cost only.